Hi! I wanted to share a little (not really...) project that I've been developing for about an year. 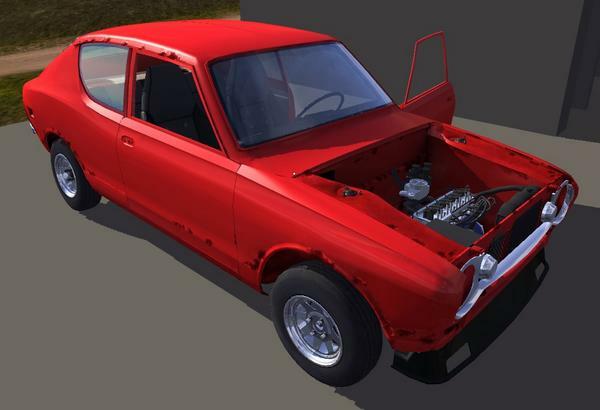 It is basically a very in-depth car fixing and tuning simulator. The game has emphasis in two different areas, one is the car building and the other is to experience the everlasting summer of a young person at the Finnish countryside. You could say that in this game Street Rod meets Gone Home. Game is very complex, I haven't kept up with counts but it consists easily few hundred parallel FSM's with still very exceptional performance. It is a true statement for how powerful tool PM can be. This is awesome, I like it! Super features that you can put stuff in the trunk and my favorite - you can tune in a radio in car from first person view, thats cool, with volume adjustment. Btw: are you thinking about a car damage system? With all those spare parts that sounds very complex. I am approaching the car dashboard similar way to some flight simulators and other cockpit simulators, because I believe it is not yet done similar way in car games. Cool, Im using BlendShapes on my models to animate deformations on collisions. I will have to explore more about "vertex damage" methods..
Hey! Congrats on the release on Steam!! Looks really good and fun game! Was it finished using Playmaker mostly? And the trailer… loving it!! Congrats on getting rich with that game! Over 110.000 paying customers 15€ each! (of which steam takes ~30%)! ps. Bought it for my Steam-library too and fiddled a little around with it. Very nice indeed. No time to play atm, since own game projects are in the way, but I'm sure I'll have alot of fun with it in the future!